Lodge Living Antler Copper Moscow Mule Mug - 16 Oz. | BUDK.com - Knives & Swords At The Lowest Prices! 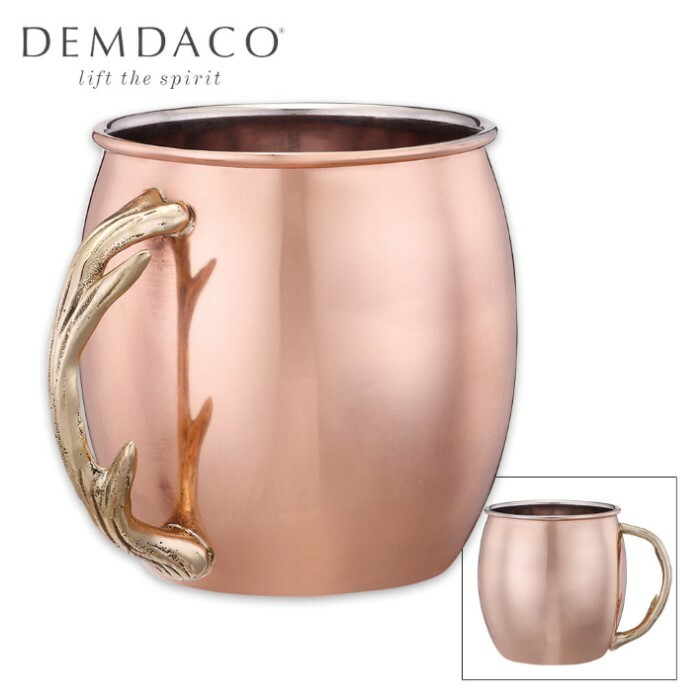 Lodge Living Antler Copper Moscow Mule Mug - 16 Oz. 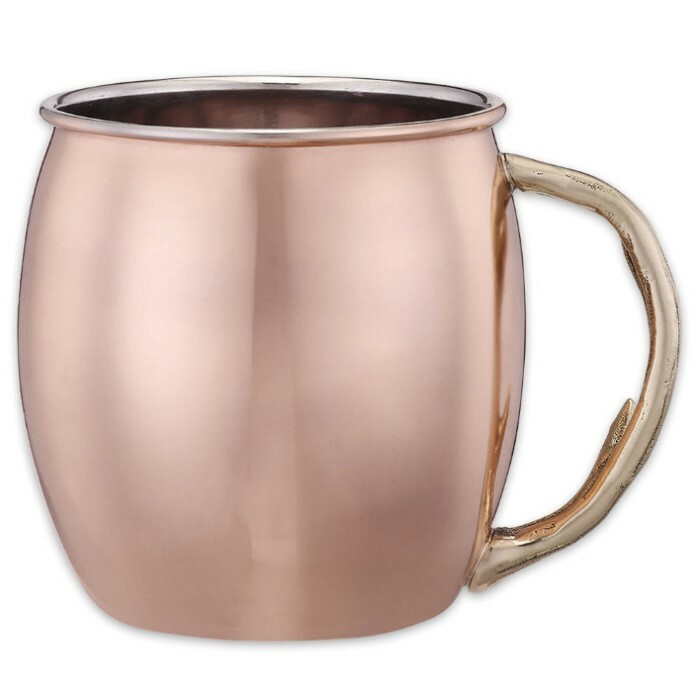 The Copper Mule Mug has Mother Nature’s prints all over it. Boasting a copper construction with a brass handle and nature-themed accents, it’s the perfect complement to your rustic kitchen décor. It comes with the original Moscow Mule recipe. Hand wash only.